In 1908, John G. Young's great-grandfather pulled up stakes from Cincinnati and landed in Old Brooklyn, where he opened a branch of a friend's exterminating company. 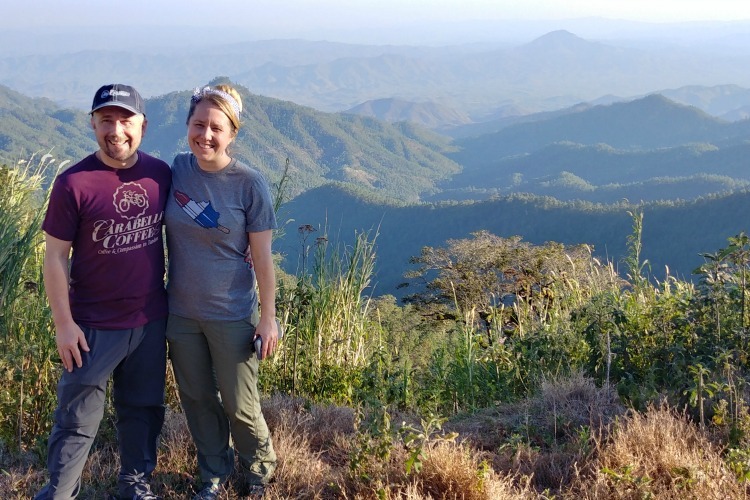 After settling in to his new home, he wrote a letter to his wife, Katie, in which he asked her to ship furniture and belongings, and shared how he was faring in his new hometown. "I think you will like Cleaveland [sic]," Young wrote. "It is a beautiful place—such a clean place, [with] nice wide streats [sic], beautiful parks." Over a century later, that exterminating company—now known as Speed Exterminating Co. and run by Young, a fourth-generation president—is still located and thriving in Old Brooklyn. And Young's family still has residential roots in the city as well: They still own an 1845 farm house on Valley Road located on seven acres of land. In Old Brooklyn, multi-generational family businesses and oases of greenspace are the norm rather than the exception. 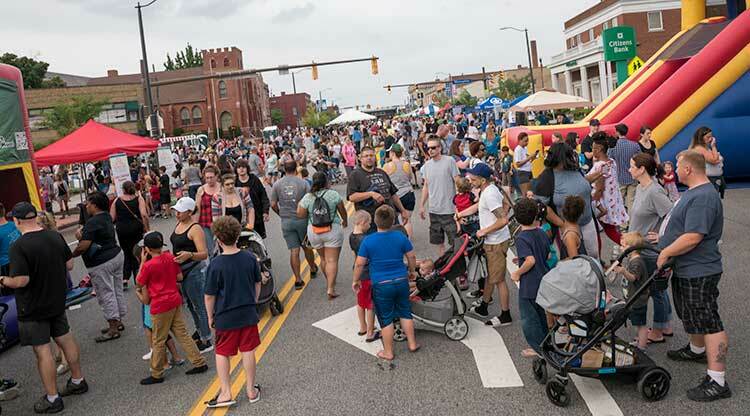 In fact, the six-square-mile enclave of 35,000 people—making it the largest neighborhood in Cleveland city limits—prides itself on being a family-friendly locale that splits the difference between urban hustle-bustle and suburban sprawl. "I look out the street, and [you just smile when you] see the people that walk along main street," Young says. "[We have] no intentions on leaving, [nor would we] would ever leave the area. Carrying on the family tradition—and community tradition—is a good feeling." Roughly located south of downtown Cleveland—in an area bounded by Brookside Road and Big Creek to the north, Brookpark Road to the south, Ridge Road to the west and the Cuyahoga River to the east—Old Brooklyn is divided into six sub-neighborhoods, each with its own unique characteristics. The neighborhood itself is steeped in history. 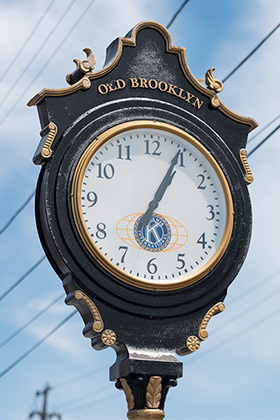 Old Brooklyn has two Little Leagues—both of which have been operating for decades—and many beloved local institutions. Neighborhood favorites run the spectrum from sweet treats (such as the original location of Honey Hut, Jack Frost Donuts, and the b.a. Sweetie Candy Company) to utilitarian businesses (such as the headquarters of Busch Funeral Home, all-purpose South Hills Hardware, and a main street post office). However, Old Brooklyn's most famous landmarks might be the Brookside Reservation—an outdoor hub since the early 1900s—and the Cleveland Metroparks Zoo, which was founded in 1882. Both of these amenities embody Old Brooklyn's abundant greenspace and commitment to its roots as a farming community. In fact, during the 20th century, the neighborhood was considered the "Greenhouse Capital of the United States" due to its focus on gardening under glass. Today the 100 percent volunteer-run Ben Franklin Community Garden is the largest community garden in the state of Ohio. The legacy of sustainability and keeping the community green comes through via the seasonal Old Brooklyn Farmers Market, whose "goal is to provide access to healthy foods in our neighborhoods," according to coordinator Emily Holtel-Hoag, who's also lived in Old Brooklyn for 17 years with her family. Now in its third year, the weekly event offers a variety of ways to encourage healthy living—from displaying recipes of the week culled from the USDA's website to the Try. Taste. Decide! initiative, which encourages people to explore fruits and veggies. The Old Brooklyn Farmers Market is also part of the OH Direction Card's Produce Perks program, which matches what users spend on food (up to $20), and is a partner of WIC, which gives clients seasonal $20 vouchers for fruits and vegetables. The market also has weekly health and wellness outreach, which could include blood pressure screening or light exercises before a weekly summer movie. "People need to feel connected to one another, and they need models on how to do that, and resources and examples," Holtel-Hoag says. "It's all about feeling connected, and making our neighborhood a healthy place to be—in not only what you think of as traditional healthiness of our bodies and our medical care, but in the sense of being healthy in a growing community that knows how to live together and thrive within these connections." These kinds of activities go a long way to bringing communities closer together. But making such connecting activities accessible to residents—and not just affordable to them—sets Old Brooklyn apart. 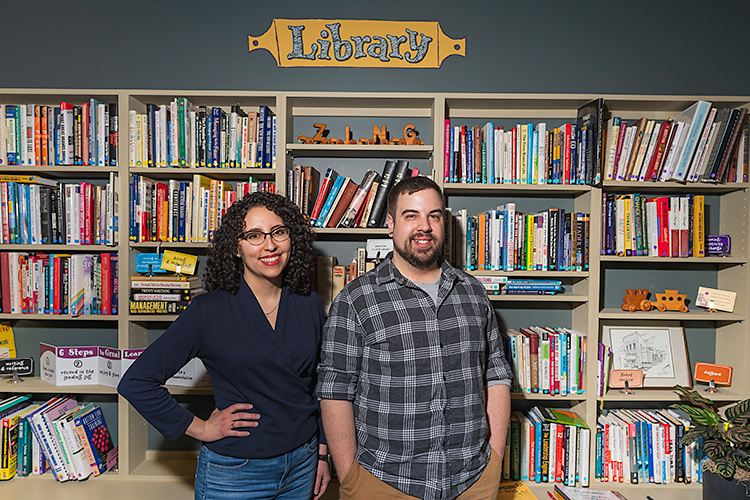 "For us, [accessible is] a much broader conversation than just the dollars and cents," says Jeff Verespej, head of the community development corporation. "Accessible means you're welcome here. Accessible means you can find your home here. Accessible means you have access to opportunities." White Europeans, including German immigrants who were farmers, settled in the area where Old Brooklyn is now in the early 19th century. Although initially incorporated as Brighton Village, it was also known as Brooklyn Township and, later, South Brooklyn. The neighborhood thrived due to its proximity to streetcar lines, but also was located within walking distance of factories located on the valley floors. By 1927, Old Brooklyn had been absorbed into Cleveland proper. "You can't untether Old Brooklyn from Cleveland," Verespej says. "We were established as a residential outpost, in a residential growth community, as Cleveland grew." Like the rest of Cleveland, the changing economy of the late 20th century had an impact on the neighborhood. However, strong public transportation along the West 25th corridor—as well as close proximity to the airport and both east and west side job hubs—continued to make Old Brooklyn an appealing place to live. From a demographic standpoint, Old Brooklyn is also diversifying. 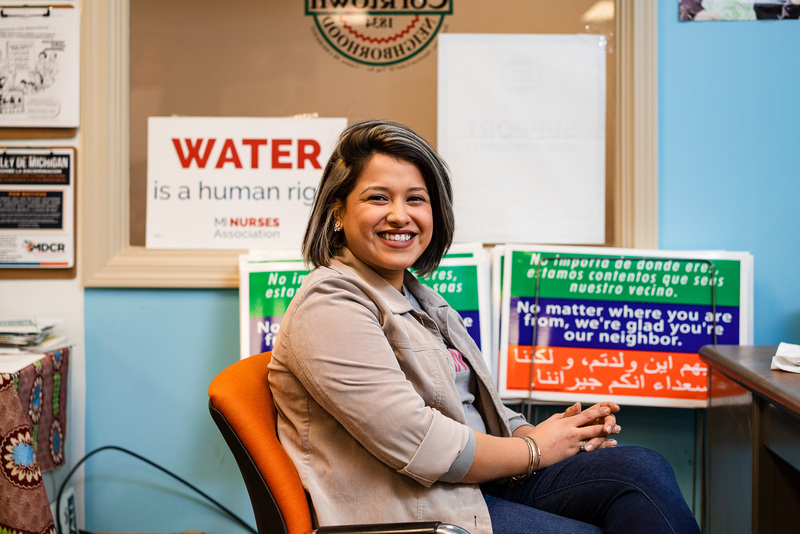 Right now, the neighborhood has the fastest-growing Latino and African-American communities in Cleveland, as well as a significant migrant population. "The neighborhood is very diverse, and that's something we embrace," Verespej says. "We've always been an inclusive community. We need a place where everyone can feel welcome, feel included, and be given an opportunity to grow. Those are principles we love to stand on." Like many city neighborhoods, Old Brooklyn was affected by the late 2000s housing crisis, but unlike many other neighborhoods, somehow escaped the brunt of the impact. The area’s foreclosure rate increased, but didn't skyrocket; home values decreased, but never bottomed out; and the neighborhood's main street has what Verespej terms "underutilized buildings and storefronts" but never reached the point where demolition was needed. Compared to inner-ring suburbs, Old Brooklyn is also an affordable place for young professionals or first-time homebuyers to purchase a home. (According to Zillow, the current median home value is $82,100.) The neighborhood's housing stock is plentiful and diverse—encompassing large brick Tudors, early- and mid-20th century bungalows, classic Cleveland A-frame houses, post-World War II ranches, and newer 1990s construction. "Old Brooklyn has always been an aspirational neighborhood," Verespej says. "[People] have always desired to move into Brooklyn, because it's safe, walkable, has greenspace, and has a reputation of good schools. "Whether it [was] immigrants or migrants coming up from the south to work in the factories, or whether it [was] folks coming home after the wars—or now with the growing Hispanic, Latino and African-American population—that aspiration has always been a part of why people move into this neighborhood." 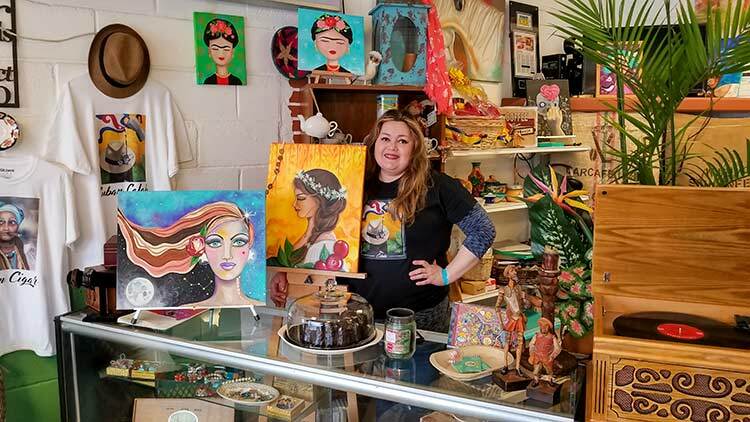 The dozens of small businesses that have opened in Old Brooklyn in recent years reflect the economic opportunities and welcoming climate of the area. There's the Latin-driven Sabor Miami Cafe and Gallery, java outpost Coffee Coffee Coffee, Lucy Ethiopian Restaurant & Bar, and the Old Brooklyn Cheese Company. Cleveland's only federally bonded winery, Vino Veritas, is located in Old Brooklyn. And the neighborhood also has five diners, including the long-running, beloved Steve's Diner. Earlier this year, Old Brooklyn was chosen as the site of this year's Cleveland Chain Reaction. Five investors are committed to investing $100,000 in one or more businesses. Verespej views Chain Reaction as "an important piece that continues the momentum in the neighborhood, and accelerates it." The Ariel Pearl Center, a former 1920s bank building located at the corner of Pearl and Broadview, was recently refurbished. That's just the start of the significant development looming in the coming years. Technology management firm MCPc bought the 117,000-square-foot former RTA garage for its recycling and refurbishing center, and announced it would have 100 new entry-level positions to fill, while the Old Brooklyn CDC is renovating the Atlas Building at the corner of Pearl and Stanford. And Mason's Creamery recently bought a 9,000-square-foot warehouse for which it has big plans. Housing obsolescence is one major challenge facing Old Brooklyn. Although the neighborhood has a variety of well-kept, high-quality housing, some of the stock isn't desirable due to a lack of modern amenities popular in the market today, such as a fourth bedroom or two bathrooms. 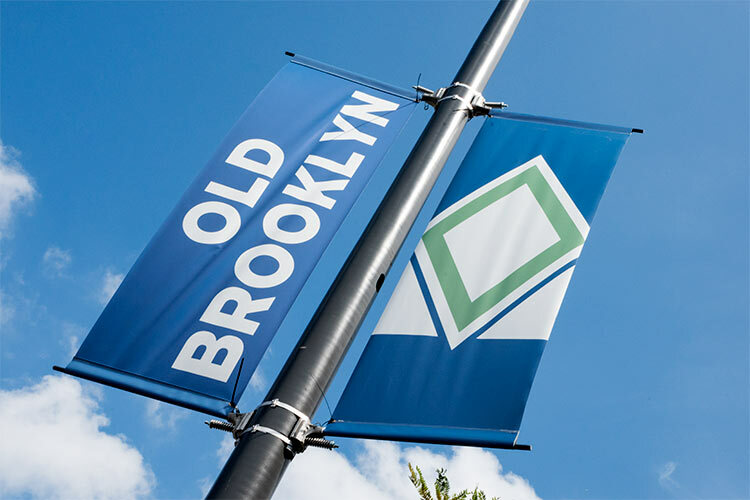 But as Old Brooklyn continues to grow and evolve, the neighborhood is mindful of preserving its history and legacy, while welcoming new faces that enhance the area's already-vibrant culture. "Our challenge is about continuing to grow while honoring and celebrating what makes Old Brooklyn a great place," Verespej says. "We're not moving towards a model of 'either/or'—or a displacement-based model—but one where everyone finds a home in Old Brooklyn on a side street, on our main street, and in our public spaces." 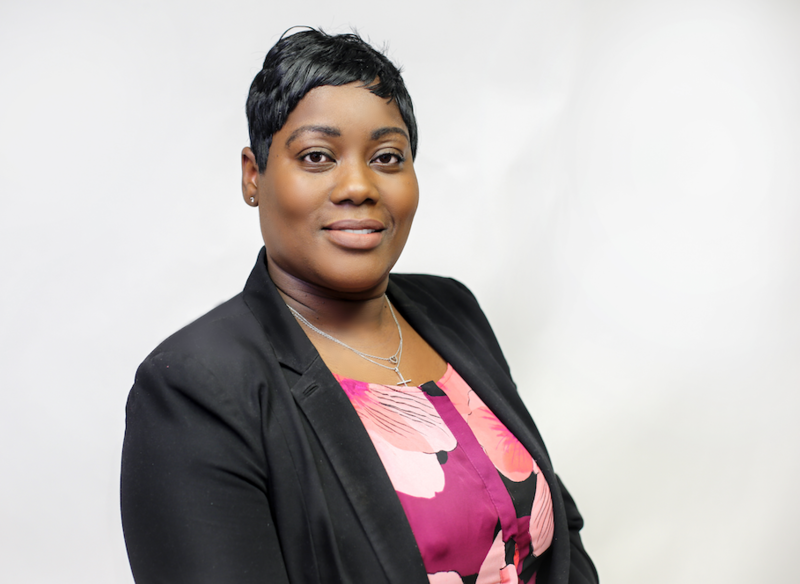 This article is part of our On the Ground - Old Brooklyn community reporting project in partnership with Old Brooklyn Community Development Corporation, Greater Cleveland Partnership, Cleveland Neighborhood Progress, Cleveland Development Advisors, and Cleveland Metropolitan School District. Read the rest of our coverage here.